Event-Tech, can we help you? you will find solutions is more our style. In terms of longevity, with over 30 years experience behind us we're right up there. Every member of our team is fully qualified in their field, from electricians and plumbers through to HAVC technicians; you can be assured of the competence and quality that we offer on our full list of services is second to none. 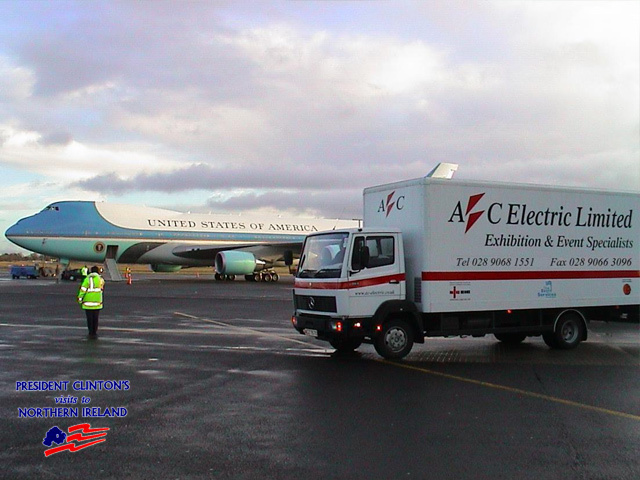 AC Electric, an established electrical contractor of over 60 years have been on the scene from the very first exhibitions in Northern Ireland and as events grew and evolved , the company did likewise. 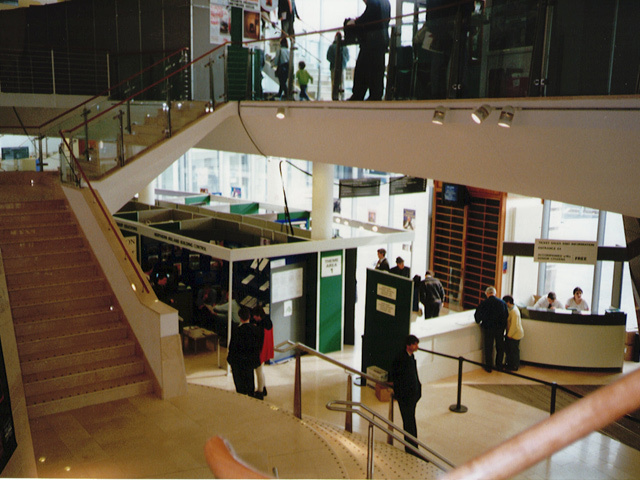 There came a time when the technical side of exhibitions where more than just electrics and at that time as a natural progression Event Technical Services became part of the evolution process. Now, with a more appropriate name the company were able to promote many other aspects of their business offering the event organisers and promoters, stand build contractors and exhibitors alike the 'one stop shop' option, which was well received in the exhibition and events industry in Northern Ireland. Generation and mains power connections to existing fixed mains sources. Distribution to lighting and socket outlets. Mains and waste water connections. Fully plumbed sink units and no-plumbing self contained cassette units. Solar electricity systems up to 6.50kW single phase and 50kW three phase. From portable units to the "studio on the 18th" and everything in between. Plasma screens & video projection. Laptop and desktop computers with networking. A full range of exhibition lighting, fluorescent, PAR38 spot lights, floodlights, security lights. From 125A Three Phase down to any size for equipment connection through to 13A outlets. Local or area wireless.internet with secured gateway. Hard wired LAN or WAN services. Solar Hot Water systems are an ethical and environmentally friendly choice. From 30 to 50 people local public address through to wide area systems..
Satellite systems from the dish to the distribution. 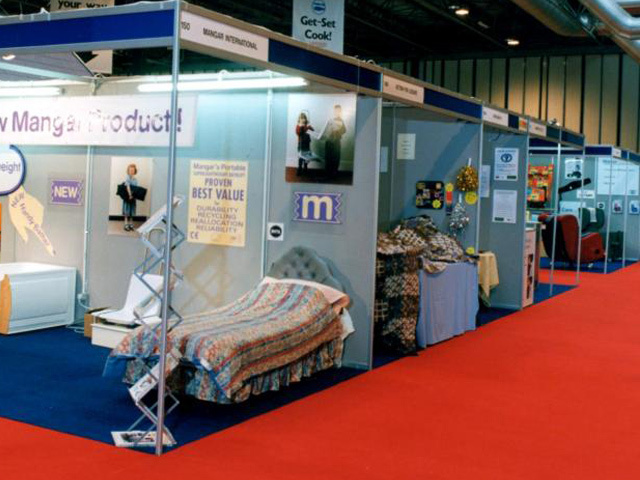 With over 30 years in the industry we have attained a wealth of experience in all aspect of exhibitions and events. If you need just one or a host of technical services, then that's what we do, we like to think we can offer you the complete one-stop-shop for event technical services and more than that if it's something we don't do, we know somebody that can! Never one to stand still ETS now do solar! Both Electricity (PV) and Hot Water Services available. Want to emphasise your commitment to renewable energy and enhance your green credentials? Look no further, be it solar electricity (PV) or solar hot water its now part of our added value service. In the many aspects of exhibitions and events electricity features above all others. Its place is at the core of our business model around which all other technical services revolve. Naturally we value safety as paramount in our electrical installations. 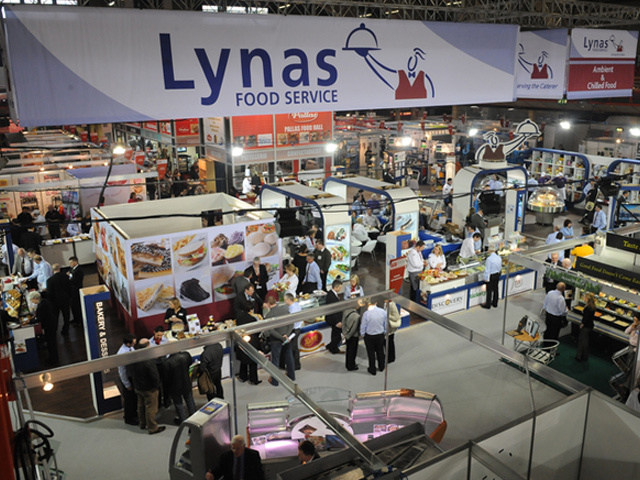 At every exhibition or event we service, we ensure a safe, practical and efficient working environment, giving our customers a high quality, reliable service. Our electrical installations adhere to the guidance of BS7671 (electrical wiring regulations) and BS7909 (temporary electrical systems for entertainment and related purposes) plus any special requirements of venues and local councils. Using our ‘SafeWire’ lighting and socket system benefits event organisers with faster installation times. This allows for a potential reduction in venue hire costs with around half the time needed for hard wire installations. To meet the demand of ever shorter event build times we developed the ‘SafeWire’ system, ensuring safe and expedient installations. We have been using ‘SafeWire’ faultlessly for over 15 years. The system is flexible enough to meet modern or traditional stand construction alike. • Safe: with safety as paramount in electrical installations, ‘SafeWire’ keeps it that way. • Faster: considerably reduces the time required to install shell scheme electrics. • Flexible: sockets and lights can be moved with ease and with minimum disruption. • Reusable: all aspects of safetwire are completely re-usable including all cabling - this means less cable wastage helping us to keep our costs down and playing its part in our environmental policy. Having installed electrics to 1000's of stands in 100's of exhibitions we are the most experienced service provider in Northern Ireland. 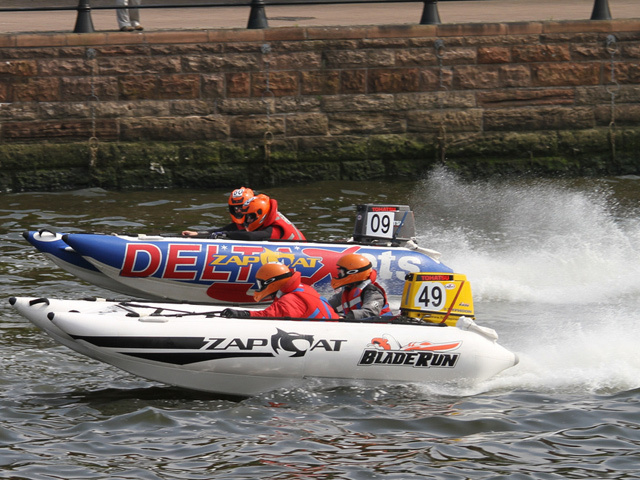 The events we have covered don't come much bigger; from Presidential and Royal Visits and major golf tournaments to powerboats on the Lagan no event is too large. Exhibitions scale from major 5 hall events at the Kings Hall Exhibition & Conference Centre right down to small scale hotel seminars, our capability of delivering a quality service is the same irrespective of the event size. Our team and all we stand for is based on expertise in flexibility, people skills, organisation, passion and time management. With years of experience in events, we know there is always something that requires a creative fix and at times being resourceful to work within the means is the challenge. We share our ideas and your vision openly with our team and communicate on a level that is respectful to everyone. We realise that we all have our part to play, and getting the best from our team ultimately leads to success. We have the ability to coordinate not only ourselves, but the scheduling of the wider group involved in providing the services. Passion is not something we can teach, its something we have as individuals; you will know what it is when you see it from the outset of our involvement in your event. Time management to us is all about planning, and re-planning and scheduling. 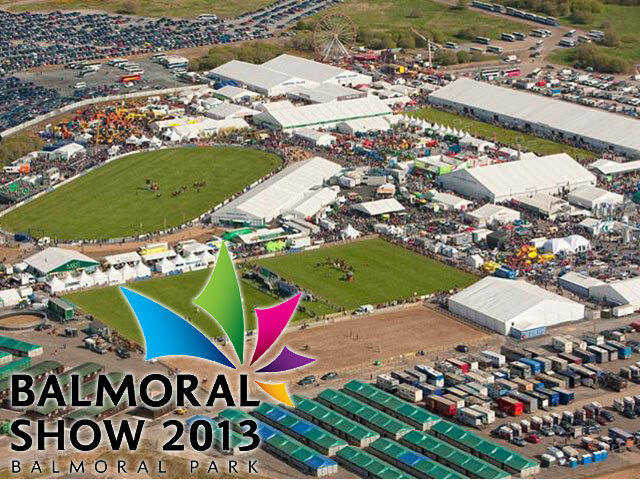 Balmoral Park encompassing the Eikon Exhibition Centre, hosts Ireland's largest Agricultural and Food Show covering some 65 acres at Lisburn. 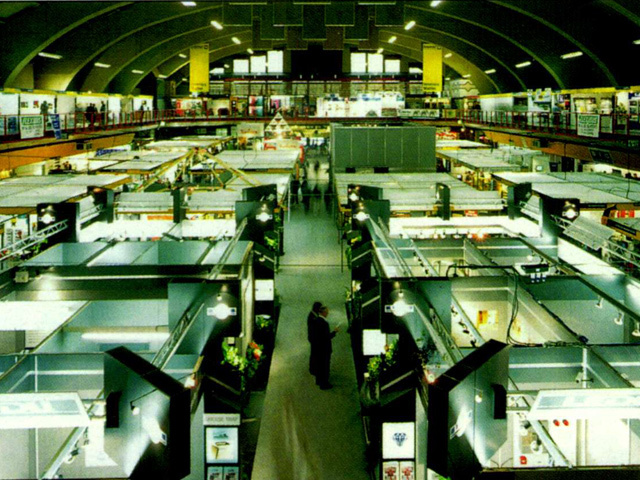 Northern Irelands' premier exhibition venue which held the largest exhibitions in the country. 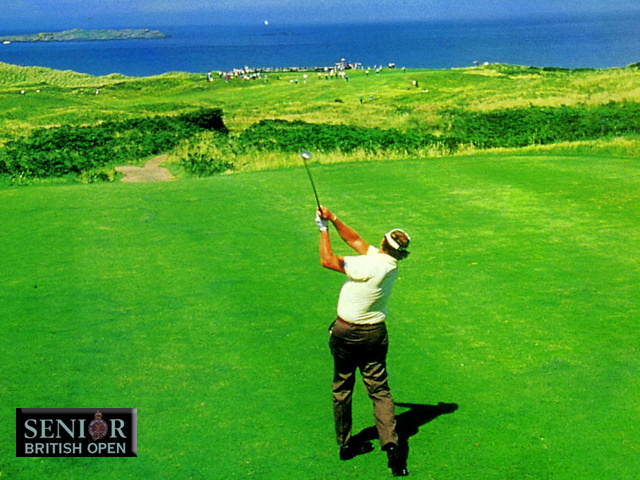 Royal Portrush, Royal County Down and Malone Golf Clubs all had the pleasure of hosting this world class event. 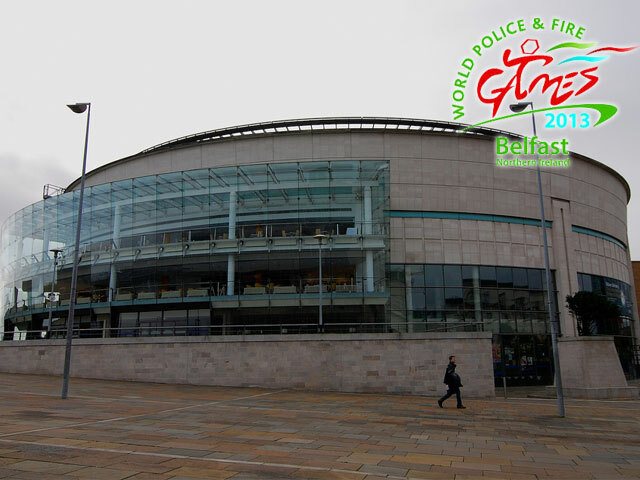 Well known for many other things Belfast's Waterfront Hall hosts exhibitions too! One of river lagans‘ most spectacular events the Power Boat Grand Prix. One of the biggest power users at the very successful IFEX show, the stand electrics are challenging yet immensely satisfying. Holi, the Hindu festival of colours, celebrating culture, colour & creativity in Belfast. Shell exhibition stands with electrical package are a popular choice for event organisers. The electrical contracting industries independent voluntary body for electrical installation matters throughout the UK. Members provide products and services to the events industry and abide by the TESA Code of Practice. The association is dedicated to enhancing professionalism in the outdoor events industry through education, advice and creating business opportunities. If our experience doesn't say enough you can rest assured that our membership of the affiliated bodies linked to the events industry, electrical contracting and microgeneration assures you of our competence in all aspects of our operations. Underwritten by the Electrical Contractors Insurance we carry well over the industry standard with £5M Public Liability Insurance. Guidance on the quality controls incorporating the professional codes of practice we have adopted can be downloaded from the 'more details' link and respective associated bodies are linked through on the their logos below. • Information about your computer and about your visits to and use of this website. 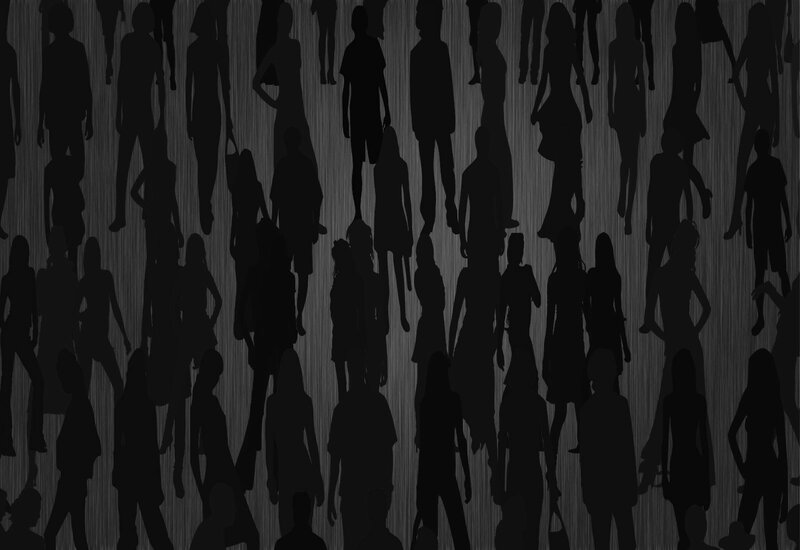 The cookies collect information in an anonymous form (including geographical locations, browser types and versions, operating systems, referral sources, length of visits, page views and website navigation paths). Most browsers allow you to reject all cookies, whilst some browsers allow you to reject just third party cookies. For example, in Internet Explorer you can refuse all cookies by clicking Tools, Internet Options, Privacy, and selecting Block all cookies using the sliding selector. Blocking all cookies will, however, have a negative impact upon the usability of many websites. • To send you email notifications which you have specifically requested. • To send to you marketing communications relating to our business which we think may be of interest to you by post or, where you have specifically agreed to this, by email or similar technology (you can inform us at any time if you no longer require marketing communications). In addition, we may disclose your personal information in the following circumstances. • To the extent that we are required to disclose information by law. We will take reasonable technical and organisational precautions to prevent the loss, misuse or alteration of your personal information. We will store all the personal information you provide on our secure (password- and firewall- protected) servers. Of course, data transmission over the internet is inherently insecure, and we cannot guarantee the security of data sent over the internet. • the supply of appropriate evidence of your identity (for this purpose, we will usually accept a photocopy of your passport certified by a solicitor or bank plus an original copy of a utility bill showing your current address). We may withhold such personal information to the extent permitted by law. Our data protection registration number is Z9227777. "The Company" means Event Technical Services Limited (Company Registration Number: N. Ireland 057394) whose registered office is at 219 City Business Park, Belfast, BT17 9HY Northern Ireland. "The Customer" means the person or company identified on our indexed computerised accounts system. "Contract" means these Terms and Conditions between the Company and the Customer setting out the parties, the Goods and Services and the Purchase Price. "Goods and Services" being those Goods and Services described in the content of the submitted Quotation. "Estimate(s)" are an approximate price, calculated with reasonable care from available information, which may be given as a range or percentage variation. It constitutes an offer to do the work within the price range. This will be used where an exact price is not required or is impossible to give due to lack of information. "Quotation(s)" means to supply in writing a purchase price for Goods and Services to the Customer for approval. "Orders" means purchase of Goods and Services by the Customer subject to the Company's final acceptance. "Purchase Price" means the price agreed between the parties for the Services in accordance with the Contract. The price is based on normal working hours, Monday to Friday, unless otherwise stated and do not include any charges for external services unless otherwise stated. 2.1 All Quotations and Orders are subject to these Terms and Conditions unless a variation is agreed in writing between the Customer and the Company. 2.2 Unless stated, the Quotation acceptance period is 28 days from date of the Quotation. 2.3 The Purchase Price does not include VAT (unless otherwise stated) which will be paid additionally by the Customer to the Company at the then prevailing rate, if applicable. 2.4 Any clerical errors or omissions may be corrected by the Company without liability. 2.5 The Purchase Price may be amended by the Company in line with any significant change in raw material, mitigating circumstances or any other factor beyond the control of the Company. 2.6 The Customer is not permitted to retain any of the Purchase Price. 2.7 The Company may employ contractors to carry out any part of its obligations under these Terms and Conditions at its sole discretion and it may assign its rights and obligations under these Terms and Conditions to any other party. The Company acts as principal in all contracts save where expressly agreed to the contrary. The Customer may not assign its rights and obligations under this Contract without the written consent of the Company. 2.8 All reasonable effort should be made by the Customer to ensure that the premises where the Services are to be performed and installed are cleared of all chattels and rubbish so that the Company may perform the installation of the Goods and Services without delay. 3.1 Each order for Services shall be deemed to be an offer by the Customer to purchase the Services subject to these Terms and Conditions. 3.2 Once the Order is accepted by the Customer Orders cannot be cancelled by the Customer the without written approval of the Company. 3.3 Once the Order is accepted, the Company reserve the right to charge for the Services that have been made or in the process of making or any work carried out prior to date of cancellation. 4.1 Payment for the Goods and Services is within 30 days from the date of the Company's invoice unless otherwise advised by the Company to the Customer. 4.2 Forty percent of the Purchase Price shall be paid by the Customer to the Company on accepting of this Contract and the remaining balance shall be paid by the Customer to the Company pay way of a staged weekly payment as otherwise set out in the Contract until the Contract Price has been paid in full, for short duration contracts this will mean on completion of works. 4.3.1 Charge the Customer interest calculated at 5% above Base Rate of the Bank of England on all outstanding amounts on a daily basis until the Company is paid in full. 4.3.2 Charge the Customer a monthly administration charge of £80.00 until the Company is paid in full. 4.3.3 Charge the Customer any legal fees and other costs incurred pursuing any outstanding amounts. 4.3.4 Seize and retain and or all of the Goods and Services until final payment of the Purchase Price and all outstanding amounts has been paid by the Customer to the Company. The Customer acknowledges that until final payment of the Purchase Price has been paid to the Company the Company reserves the right to enter the Customer's premises by any way or force as required to remove the Goods and Services should full payment of the Purchase Price and any outstanding amounts not be received. 5.1 Title for any Goods (if appropriate) shall not pass to the Customer until the Purchase Price has been paid in full. 6.1 No contract shall be concluded between the Company and the Customer on these Terms and Conditions or otherwise except by authority of a Senior Manager or Company Director or other expressly authorised signatory of the Company. 6.2 Any variation of the Contract (including any special terms and conditions agreed between the parties) shall be inapplicable unless agreed in writing by a Director or other expressly authorised signatory of the Company. 7.1 The Company gives no warranty to the Customer that any plans, illustrations, photographs and literature supplied to the Customer with the Quotation will be final representation of the Goods and Services. 8.1 The terms of this Contract represent the whole agreement between the parties and all other warranties, conditions, terms, undertakings or representations of any kind, whether express or implied, statutory or otherwise relating to the provision of any Goods and Services under or in connection with the Contract including (without limitation) as to the condition, quality, performance or the standard of care used in the provision of Goods and Services are hereby expressly excluded from the Contract. 8.2 The Company shall not be liable under contract, tort (including negligence) or otherwise for any loss of production, loss or corruption of data, loss of profits or of contracts, loss of operation time, loss of goodwill and loss of anticipated savings, nor for any indirect or consequential loss, damage, cost or expense of any kind whatever and however caused. 8.3 Neither party shall be liable for any delay in performing or failing to perform any of its obligations under this Contract due to any act of God, terrorism, war, strike, lock-out, industrial action, fire flood, drought, tempest or other event beyond the reasonable control of either party. 8.4 This Contract will be construed in accordance with and governed by the law of Northern Ireland and each party agrees to submit to the jurisdiction of the courts of Northern Ireland.